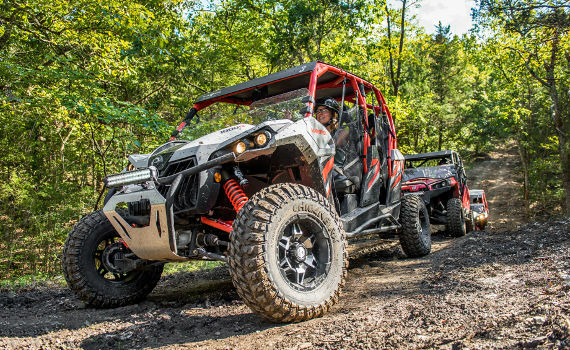 Shepherd of the Hills ATV Adventures has two different outdoor adventures to choose from. 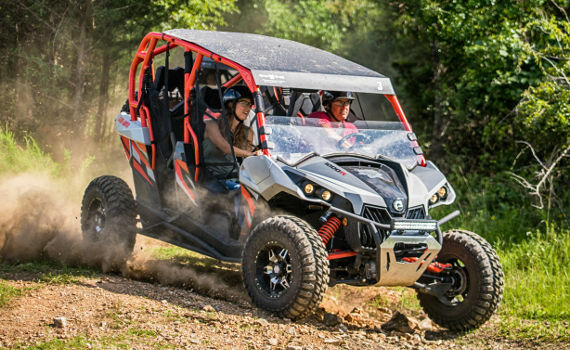 For the "get your feet wet types" you can start off with a 1 hour excursion that includes some time for instruction and learning how to operate the ATV/UTV's on pavement before heading off-road into the Shepherd of the Hills trails for approximately 30 minutes of backwoods outdoor adventure. 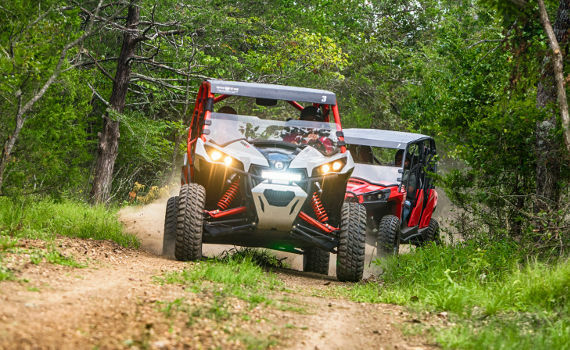 Trail rides are a guided adventure through our property, led by Shepherd of the Hills staff. Must be 21 years old to drive with a valid driver's license. Children ages 4 through 7 who weigh at least 40 pounds must be in an appropriate child safety seat or booster seat unless they are 80 pounds or 4'9" tall. Customer must provide the car seat or booster seat. Children under the age of 4 years old will not be permitted to ride. All participants must wear safety helmets and use safety restraints at all times. Anyone caught endangering themselves or others with horseplay will be removed and forfeit all fees paid for this outdoor adventure. Please dress comfortably with no open-toed shoes. Riders may get dirty. Weight limit of 300 lbs. per person. Please arrive and present voucher at the Inspiration Tower 30 minutes prior to scheduled time. 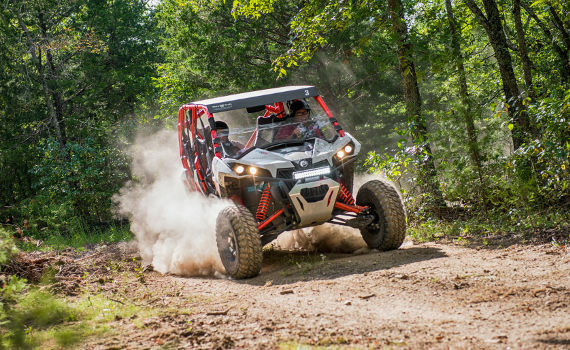 ATV Drivers must present their valid U.S. Driver’s License at check-in and must sign waivers. The 1 Hour is only at 12:00 pm. Driver must be age 21 or over with a valid U.S. Driver's License. No children under 4 allowed. If children require a car seat it must be brought with them. No open-toed shoes. Dress appropriately for outdoors. Must arrive 30 minutes prior to ride time. 48 hour cancellation is required. The 1 1/2 Hour is only at 10:00 am and 2:00 pm. Driver must be age 21 or over with a valid U.S. Driver's License. No children under 4 allowed. If children require a car seat it must be brought with them. No open-toed shoes. Dress appropriately for outdoors. Must arrive 30 minutes prior to ride time. 48 hour cancellation is required. Prices do not include tax. Child is Ages 0-18.